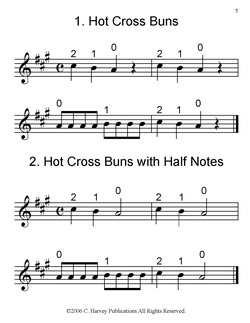 The Hot Cross Buns Book uses fifty variations on Hot Cross Buns to teach basic finger patterns and rhythms on the violin. 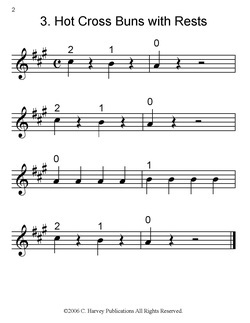 The book is especially useful as a training tool for very young beginners, with large notes and finger numbers. 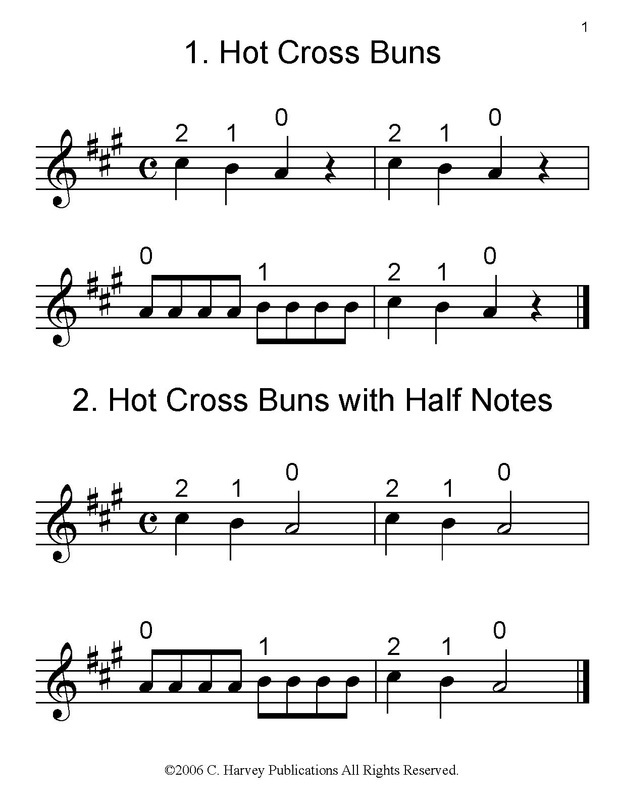 Violin teachers can use this book as a method supplement, giving their students ample material for learning notes and counting patterns. Students can learn at their own pace, progressing through the variations quickly, or as leisurely as they need to. 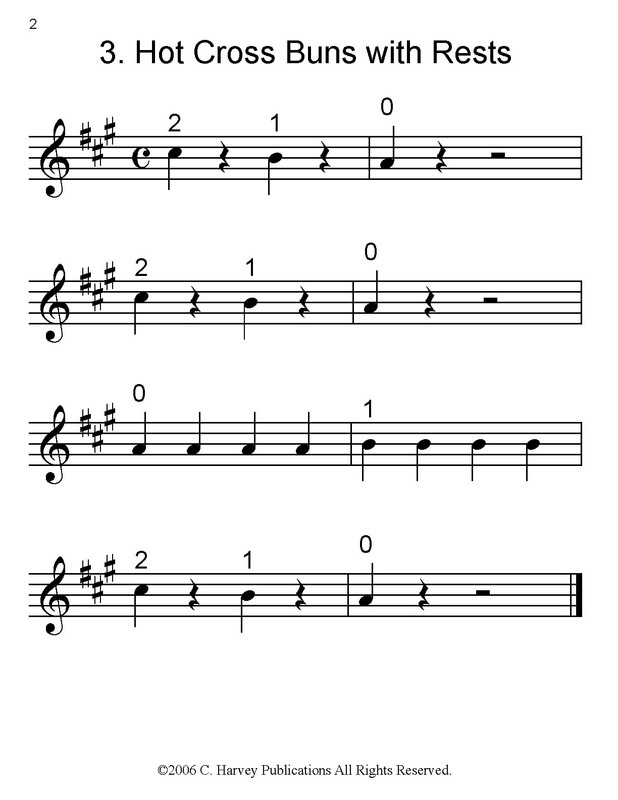 This book can accompany The Open-String Book for Violin and Learning the Violin, and can be followed by The 'Mary Had a Little Lamb' Book for Violin.